To start the year off I thought I'd put up a little baking post. I went to London over the weekend and decided to try making cake pops to take with me. I'd never made them before but I know they're the 'in' thing at the moment and wanted to make something different to cupcakes. They're so surprisingly easy to make. It's a basic cake mix but to make life easier you can buy cake pop moulds. You can make a whole cake, break into bread crumbs and then roll it into balls with cream cheese. But it's easier to buy to buy the mould. I picked one up from Wilko's for about £5. 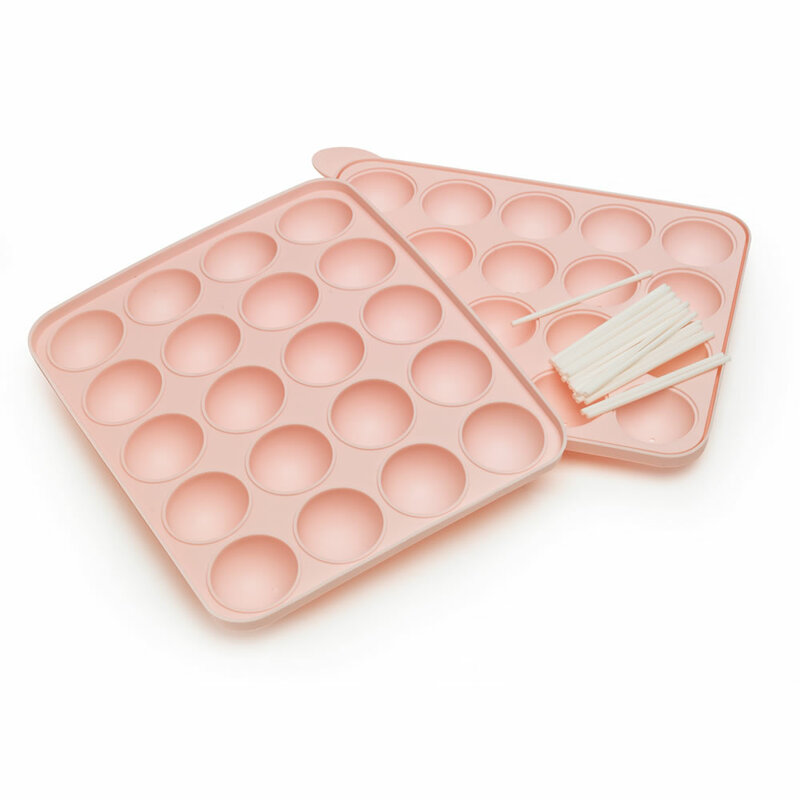 Place the mould onto a baking tray and fill one half of the cake pop mould. You tightly cover it with the other side and bake it for about 15 - 18 mins. At first I had no idea how to it was going to rise and turn into a circle and even cook properly. And although they didn't all turn into proper balls, they did work pretty well. I was so surprised at how easy they are to make. The decorating is where you can make it as simple or complicated as you want. I decided to keep it quite simple - melting milk and white chocolate and adding sprinkles, edible balls and popping candy. I also bought some edible bronze paint and painted a few in that. But I've seen designs using fondant and all sorts of things. The main thing you'll need is a sponge or flower block (if that makes any sense) to put the cake pops in when you're decorating. Again you can buy holders and I might invest in one for next time. I was lucky to find this sponge in the house. But cake pops are so much easier to make then I thought. They're a smaller alternative to cakes and I'm definitely on the cake pop hype. Let me know if you've been baking over the festive period and after.